It has been five years since the sights and sound of the Boston Marathon bombings ripped our city. Karen Hensel is being given the first-ever access to take you inside the moments deeply affecting police, firefighters and EMTs there that day. It's part of our yearlong investigation into the high rate of suicide among Massachusetts first responders. Police officer suicide is a quiet crisis across the country, last year claiming more officers than on-duty deaths. Support officers work to get officers to talk about their emotional response to traumatic events and determine whether they need counseling. 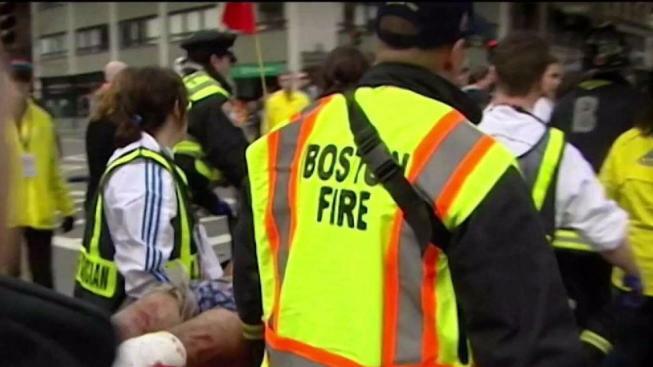 Within a day of the Boston Marathon bombing, a peer support team arrived from New York City. Brian Fleming’s PowerPoint begins, startlingly, with an image showing a bloody tangle of people on Boylston Street and two Boston Police officers edging toward them. “They’re waiting for the second bomb. They’re a little hesitant,” Fleming said. Sgt. Fleming, now retired, ran the Boston Police Department SWAT unit. He also served, then and now, as a peer-to-peer support officer, a critical role to support officers who respond to traumatic events and to prevent suicide. Police officer suicide is a quiet crisis across the country, last year claiming more officers than on-duty deaths. Support officers and incident debriefings are meant to get officers to talk about their emotional response to traumatic events and determine whether they need counseling for depression or PTSD, which can lead to suicide. Officers discuss how police from New York who experienced the aftermath of the World Trade Center attack supported police in Boston following the Boston Marathon bombing. Fleming shows the PowerPoint presentation to underscore the trauma the officers endure. Two officers in Massachusetts died by suicide within the last week, including a Boston police officer. Nationwide, 154 died by suicide last year, more than in the line of duty. Often, the officers’ widows and kids are stripped of health insurance and access to the officers' pension—sometimes the same day the officer died. Of 2,200 Boston police officers, 814 were assigned to work the Marathon in 2013, unaware of how a few moments that afternoon would define the rest of their lives. 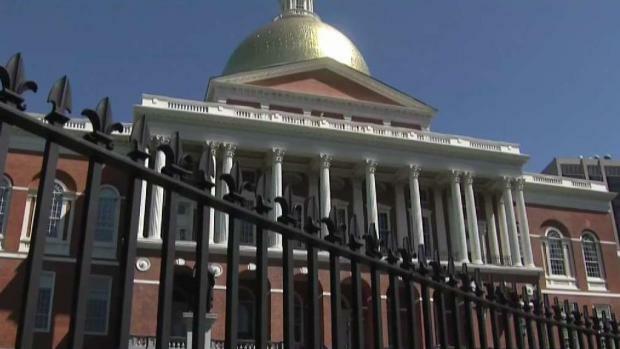 A bill the could save the lives of first responders in Massachusetts is one step closer to becoming law. The Senate has approved the First Responder Peer Support Bill which would allow first responders to ask for help from their peers, as opposed to a counselor or a supervisor, with confidentiality. The bill, which moved forward with the help of Senator Karen Spilka, still needs final approval. Within a day of the bombing, a peer support team arrived from New York City. Boston was repaid for support BPD offered the New York Police Department in the aftermath of the Sept. 11, 2001, terrorist attack. “Who better to have than the largest police department in the country who cut their teeth on 9/11 coming to help us during the Marathon?” Fleming said. That team dispatched to Boston included NYPD’s Lt. Rich Mack, who worked at Ground Zero and then transitioned to his role as peer to peer support officer. Debriefings after the Marathon bombing were mandatory. The support teams from Boston and New York debriefed 650 officers and 400 civilians in just nine days. “When you’re involved in something major like 9/11 or the Boston bombings, you feel like you’re one of the only people who can understand what it’s like to go through,” Mack said. Two bombs exploded within twelve seconds. Three people, dead. Hundreds injured, many severely. Hundreds of officers suddenly carrying the wounded, applying tourniquets, comforting victims alongside EMS and fire crews. In those early moments, Fleming immediately recognized the need those officers weren’t even aware of yet. Twelve seconds, two bombs, five days of chaos. Four critical incidents in five days. “That’s a lot for anybody,” Fleming said. And the pain would become personal and would hit home for many officers. In his presentation, Fleming includes surveillance footage of Boylston Street just before the bombs went off. He can point out Bill Richard, father of 8-year-old Richard, who died in the second explosion, standing on the sidewalk. And on Boylston Street, local Boston police fumed at federal agents also working the scene. The FBI, which took charge of the incident, ordered the boy’s body to remain on the street, now a crime scene. “Of course the family was deeply upset, and there were four Boston officers who volunteered to stand guard all night long until the body was removed the next day,” Fleming said. The Massachusetts Coalition of Police quiz helps officers determine if they are suffering from depression or are at risk of suicide.